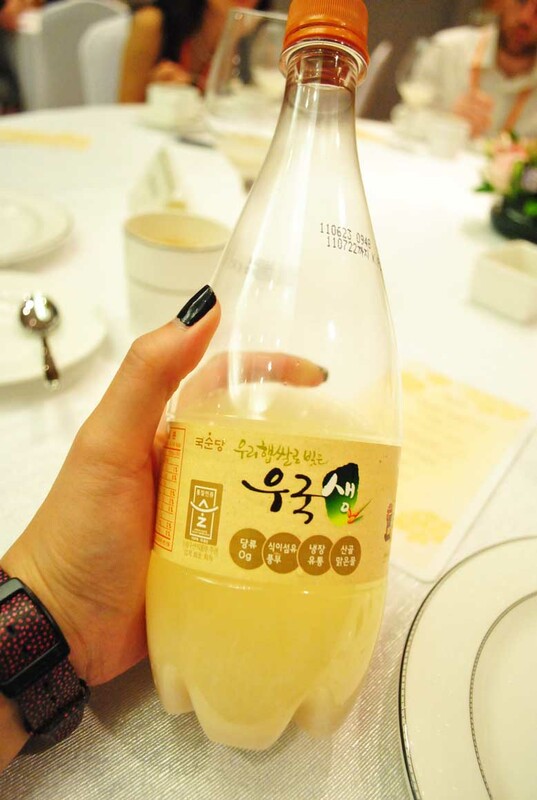 Makgeolli is a traditional Korean rice wine loved by farmers for a long time and has in recent years gained a stronger hold among the country’s younger consumers. And it is today that I discovered how brilliant this humble beverage is! And so, the girls and I had nightly makgeolli parties in my room till past 2am. On the second night, we drank till almost 3am. Oh, did I tell you we cleaned out seven bottles of makgeolli that night? The next day we raided Lotte Mart at Seoul Station for more supplies to bring home to Singapore. There, we found makgeolli heaven! 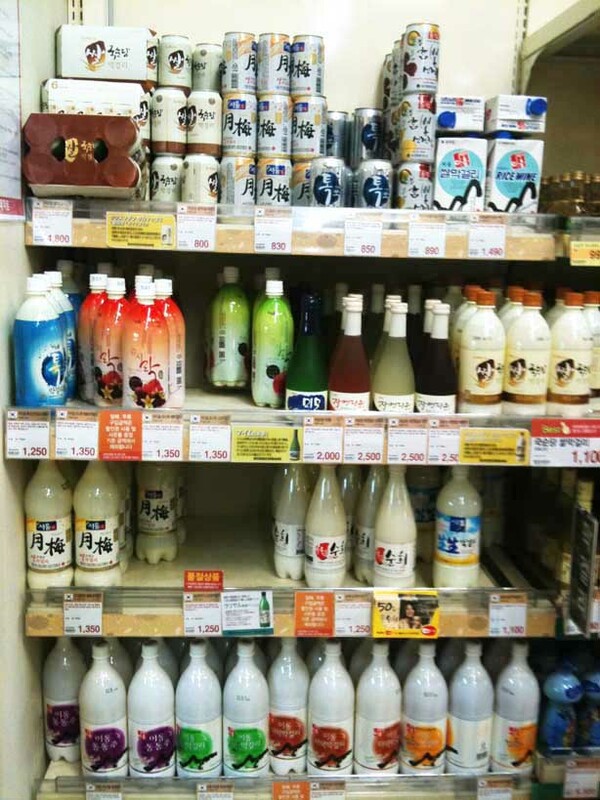 So many different brands and flavours of makgeolli to choose from! We stood in silent awe in front of the shelves for a while, and then tried to make sense of the varied labels in Hangul. Eventually, I bought only four bottles as I remembered that my luggage was close to bursting because of my Hello Kitty haul. Boo hoo.